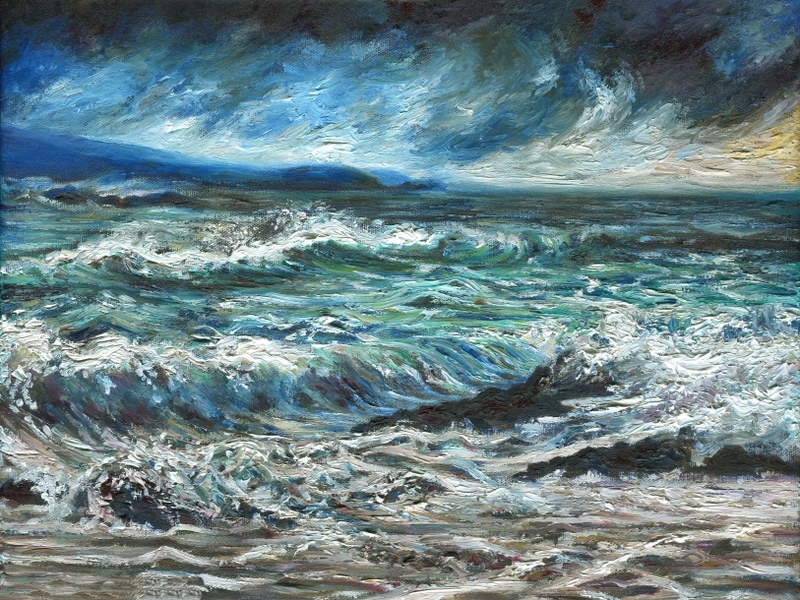 Often when I visit the coast, I look at the sea and 'see' an oil painting which I feel the need to paint. The more rough and dangerous the sea, and the worse the weather, the more beautiful it looks to me. I feel a strange conflict between fear, from imagining being in peril at sea, and my appreciation of its beauty.